The Kids Club Phuket is the place to go if you’re looking for fun activities for the kids while on a family holiday in Phuket. Not only is the Kids Club loads of fun for the kids, parents can be assured that their children will be well looked after, with full supervision in a fun and safe environment. The complex is owned by St James Properties and managed by our dear friend Katie, an Australian expat who has been living in Phuket for many years. After a visit to the Kids Club earlier this year, we decided to add this family friendly facility to our list of fun things to do with kids in Phuket. 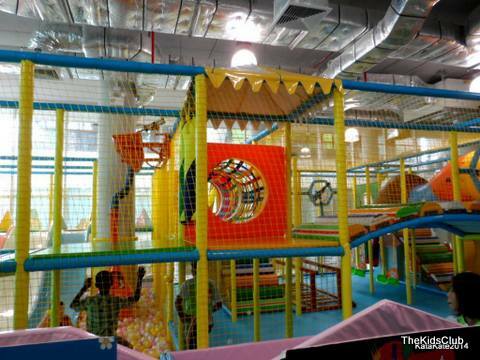 The Kids Club is a large interactive indoor playground that has everything to keep the kids amused for hours and hours. 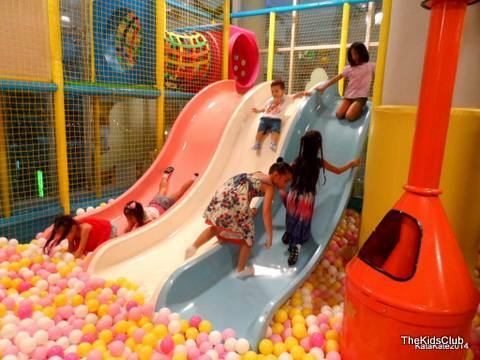 There are endless activities and a range of interactive equipment that will excite the kids and is an all round fun place for the whole family. 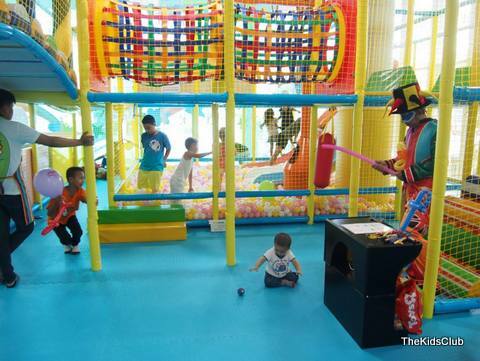 Below is a list of the type of fun equipment your kids can enjoy at the Kids Club in Patong. The Kids Club is fully air conditioned providing the perfect retreat for the kids away from the heat, or as a great boredom buster on a rainy day in Phuket. As an extra bonus parents can enjoy up to 3 hours of "kiddie free time" at no extra cost, to go shopping or to relax and enjoy a romantic meal without the kids. Whilst many parents take advantage of the 3 hour kiddie free time, parents are also welcome to stay onsite and enjoy the in-house facilities in the parents lounge area, where you will find books, magazines and free Wi-Fi. You can choose to pay by the hour or pay for a full day. The daily fee is great value for money, allowing the kids unlimited access through out the day from 10.00am to 9.00pm and parents up to 3 hours free time to do as you please. All kids are required to wear socks whilst in the Kids Club, so before you leave home pack a pair of non-slip socks in the kids luggage or if you forget you can purchase a pair from the Kids Club for 80 Baht. 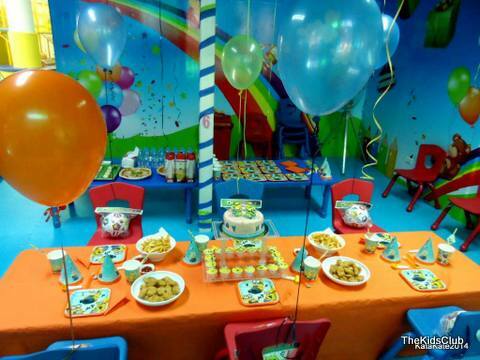 The Kids Club Phuket is also a great venue for children’s parties, with separate party rooms available for those special occasions and a selection of party packages and themes available to choose from. Katie and the friendly staff will take care of all the party arrangements including, entertainment, decorations, food and drinks. 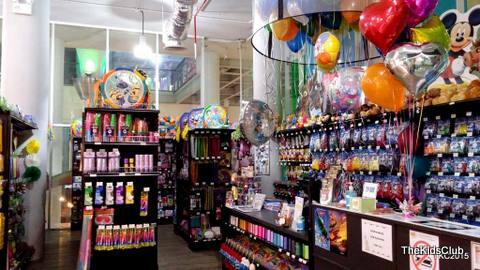 If your looking for party supplies whilst in Phuket, the Kids Club also has a party supply store where you will find everything you need to throw a party including invitations, party favors, banners, decorations, balloons and lots more. 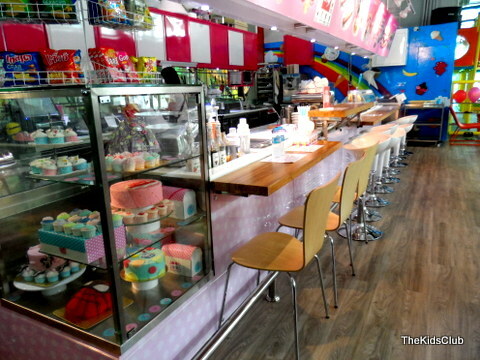 The Kids Club has relocated to the Kee Shopping Plaza, which is located in the Kee Resort & Spa in Patong. Opening hours are from 10.00am – 9.00pm daily. For further information about the Kids Club Phuket, pop over to their facebook page as their website seems to be down.